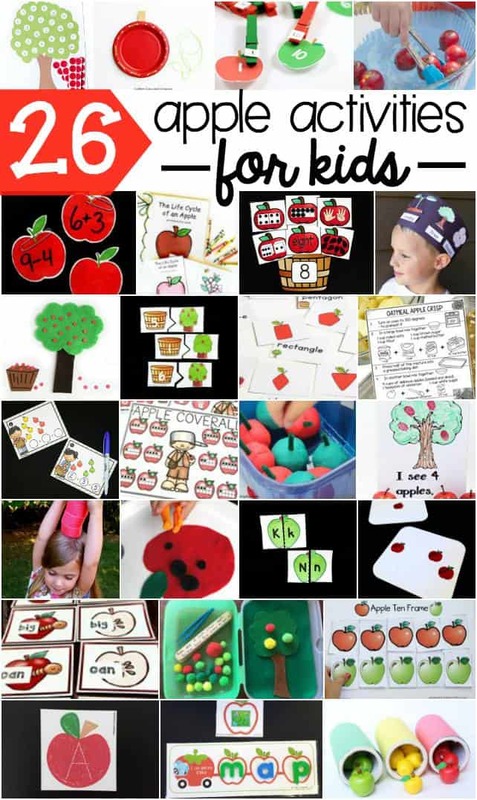 So many apple activities! 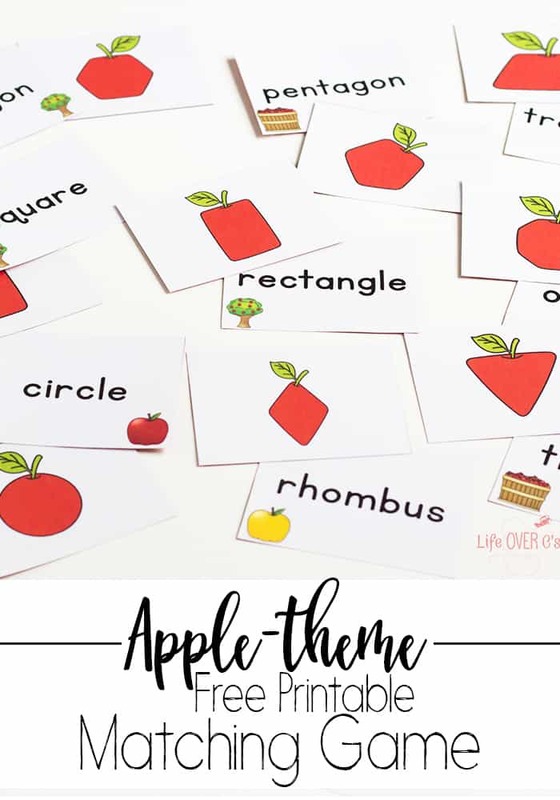 I love that the beginning of the school year also signals the return of fun learning themes, starting with apples! We’ve done a lot of free printable apple activities, so this free printable shape apple matching game for fall is a perfect addition to the collection. Play while sipping some caramel apple cider, eating caramel apples or pair it up with some fun apple painting. No matter what I’m sure that your kids will love it. 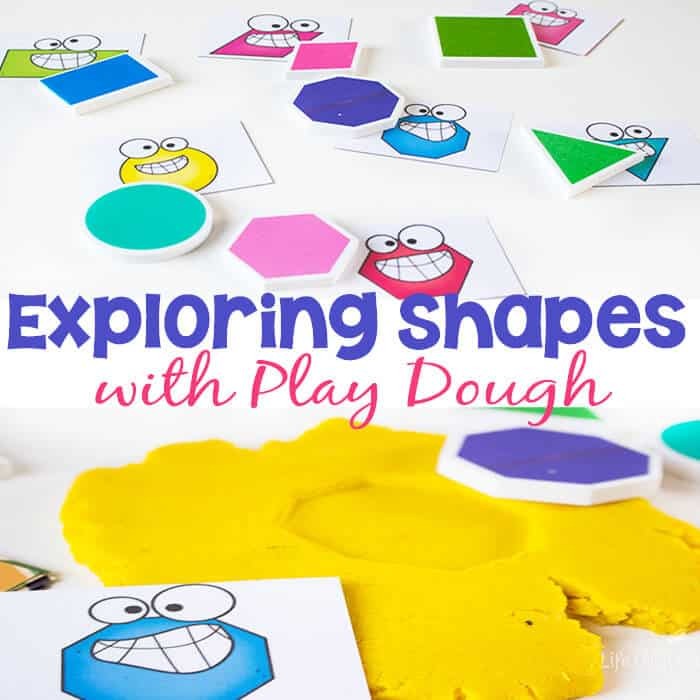 To prep: Print the apple shape matching game on the white side of the scrapbook paper (or on card stock), laminate and cut apart the cards. 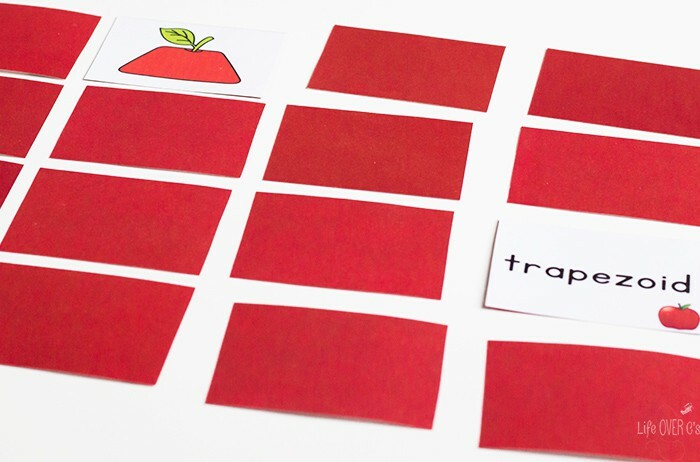 To play: In case you haven’t played Memory before, you turn over two cards at the same time. 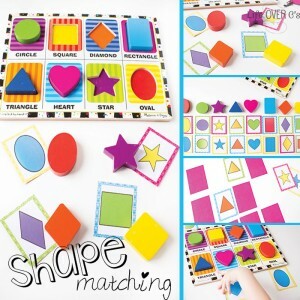 If they match, you get to keep them and turn over another set of shapes to try again. 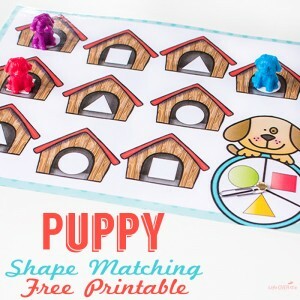 Use the cards for an independent matching activity and have the kids find the matching pictures and words. 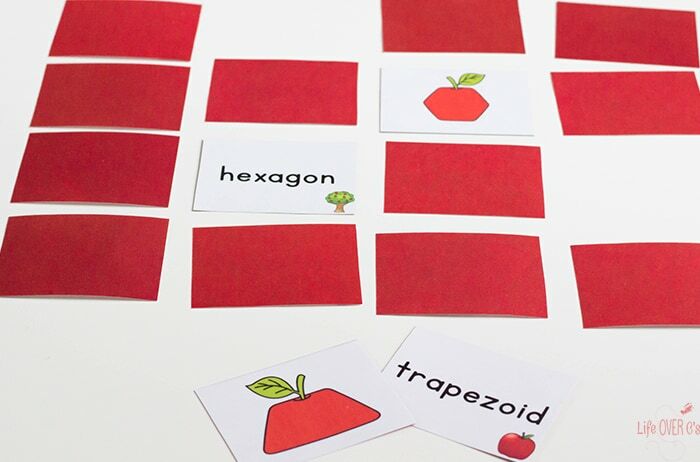 Select 1 shape picture and have the kids find the matching word card from among several choices. 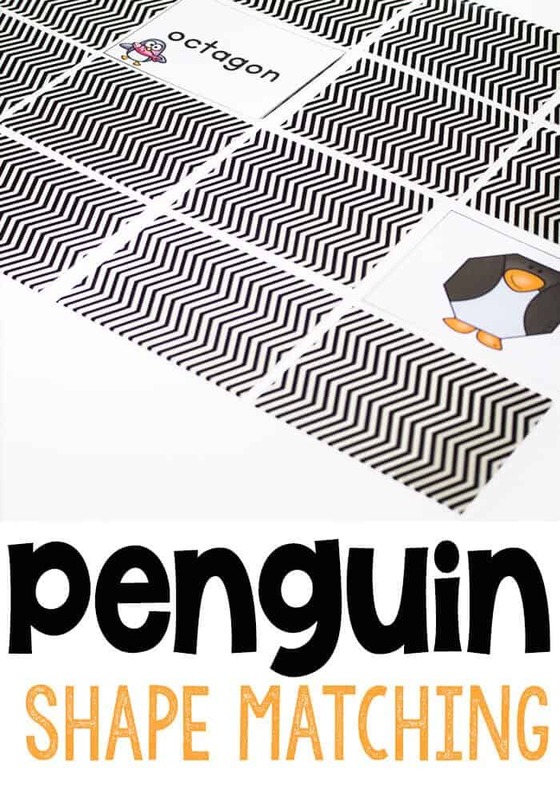 For non-readers, make two copies of the picture cards instead of using the word cards.